Hearing aid manufacturers have refined the benefits of digital technology to eliminate many common complaints hearing aid users had about conventional hearing systems. These advancements allow us to easily and accurately “tune” hearing instruments to work in a variety of situations with all types of background noises. These hearing instruments have a natural and balanced sound, virtually free of feedback that adjusts itself AUTOMATICALLY so you are free to experience life. Digital products to fit all budgets! Our team of hearing health professionals will use advanced technology to help you See how you Hear, and Understand what you have been Missing. It's time to experience Smart Hearing. Seamless control, on the go, directly from your wrist. 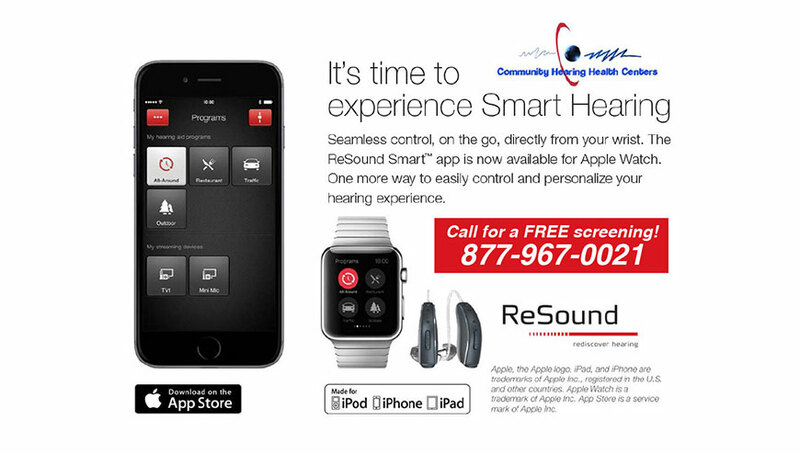 The ReSound Smart™ app is now available for Apple Watch. One more way to easily control and personalize your hearing experience. 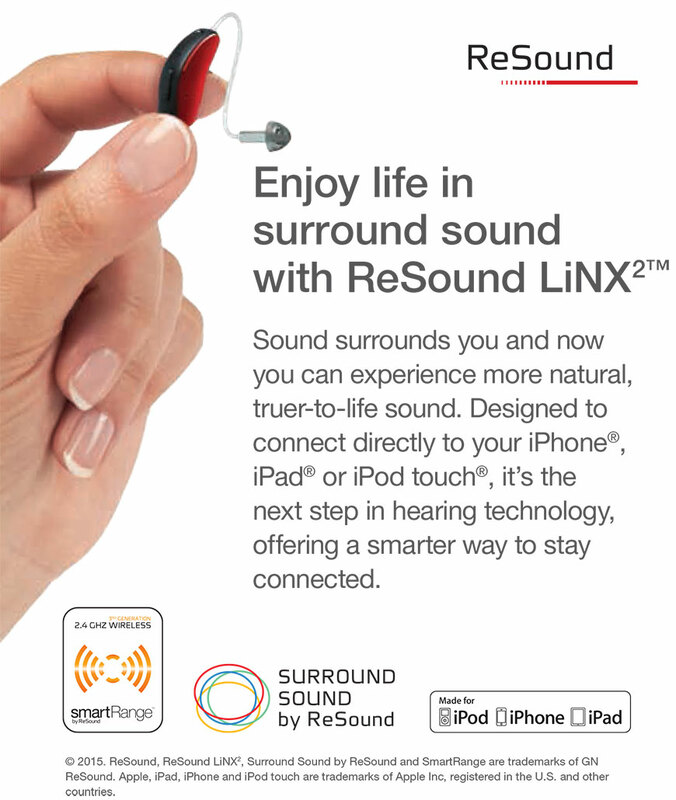 Sound surrounds you and now you can experience more natural, truer-to-life sound. Designed to connect directly to your iPhone®, iPad® or iPod touch®, it’s the next step in hearing technology, offering a smarter way to stay connected.